Thank you for supporting this project! This page has closed, but you can still make an impact. Give by calling 818-677-7330 or visiting http://givenow.csun.edu and entering "Theatre Department Special Projects" in the Special Instructions field. In theatre and music, voices are instruments that tell a story and evoke emotion. However, due to a new government regulation, we are in danger of the voices becoming a whisper. CSUN is in immediate need to replace equipment for its highly influential and award-winning Department of Theatre. In early 2017, the FCC cleared out frequency for a 600MHz spectrum auction. This was frequency that CSUN's Department of Theatre operated on for its wireless microphones. By the end of 2018, CSUN needs funds to purchase new wireless microphones that operate at 400 MHz to stay within federal compliance. CSUN students, not just those in the Theatre major, build their foundation of performance and production on CSUN stages. It is their pathway to a career in theatre, television and cinema. 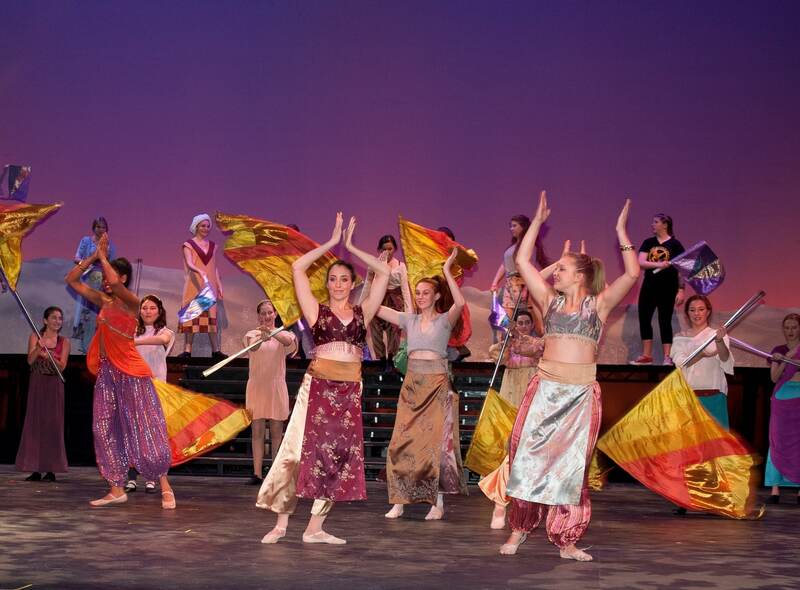 With eight full productions annually (each with multiple performances), including a musical, an opera, various plays, and a matinee for K-12 students in the community, CSUN's Department of Theatre is also a destination for those who love the arts in the San Fernando Valley. CSUN is also home to the Teenage Drama Workshop — a valley institution that allows sixth through 12th graders the opportunity to develop performance skills. And the department also rents out space and equipment for outside productions, bringing in funding that benefits CSUN students. The rental costs for compliant equipment are financially prohibitive and within a year and a half will exceed the replacement costs. The department has begun the effort of replacing this equipment but is only able to replace a small number of the soon-to-be-banned equipment due to the high cost of such equipment. The total cost to replace all remaining wireless microphones and support equipment totals $22,000. We are kindly requesting the support to raise $10,000 which will allow the purchase of enough microphones and receivers to attend to the department’s immediate needs. The need is now. CSUN Theatre impacts many lives through education and entertainment, and you can play a role in its future by donating to this project today. Give $8 to represent the eight student performances produced annually. Give $19.61 to represent the year of the first student production of Othello in the permanent campus theatre. Give $26 to represent the 26 educators in the Theatre Department. Give $61 in honor of the 61 years the Teenage Drama Workshop has been active. Give $191 to represent the number of seats in CSUN's Little Theatre. Give $320 to cover the cost of one over-ear microphone. Give $400 to cover the cost of one wireless body transmitter.